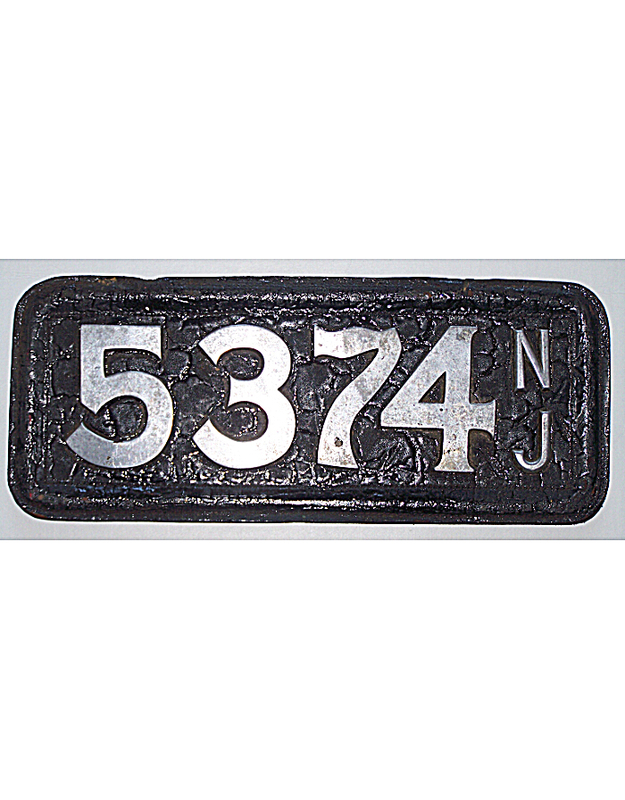 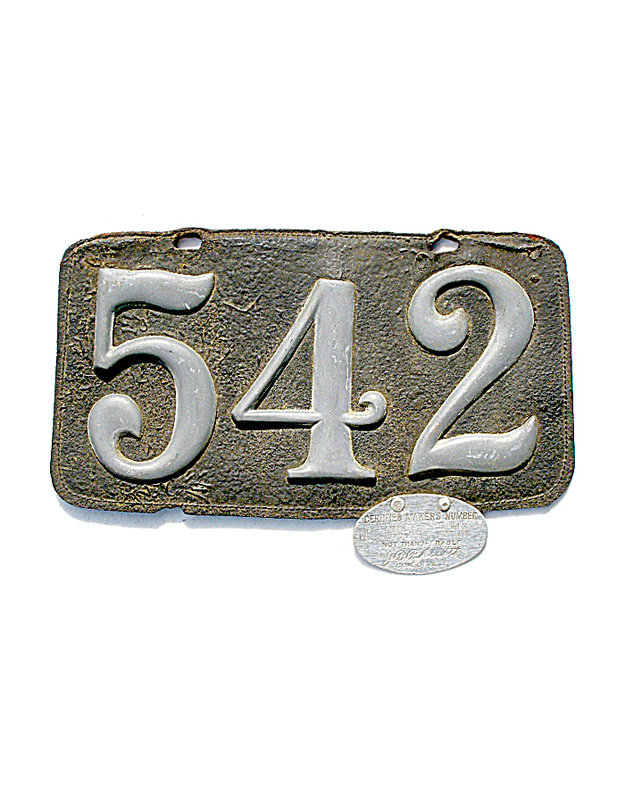 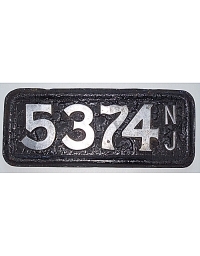 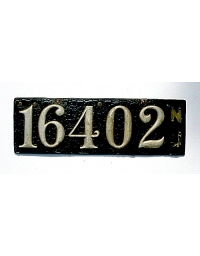 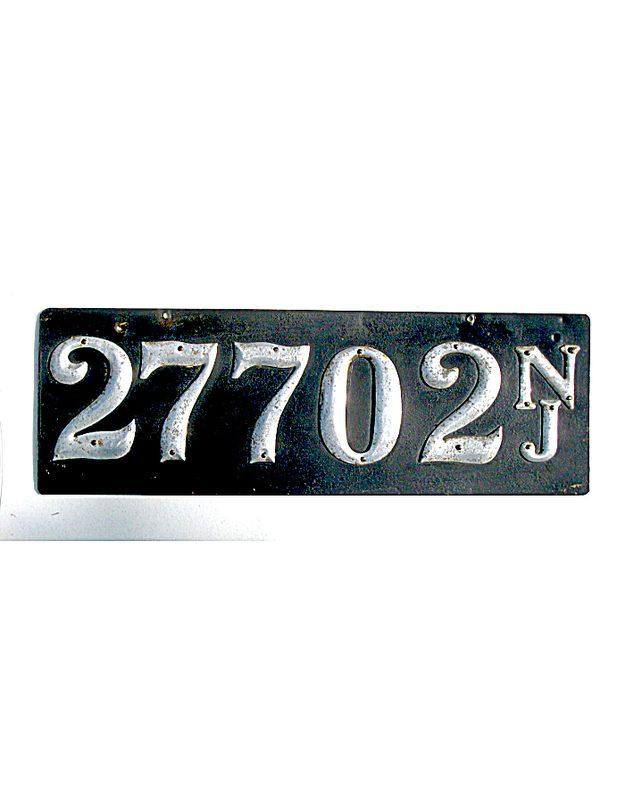 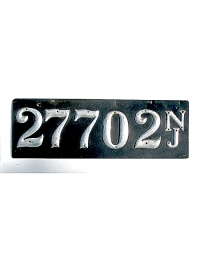 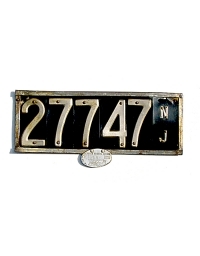 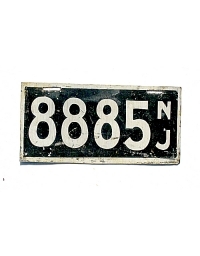 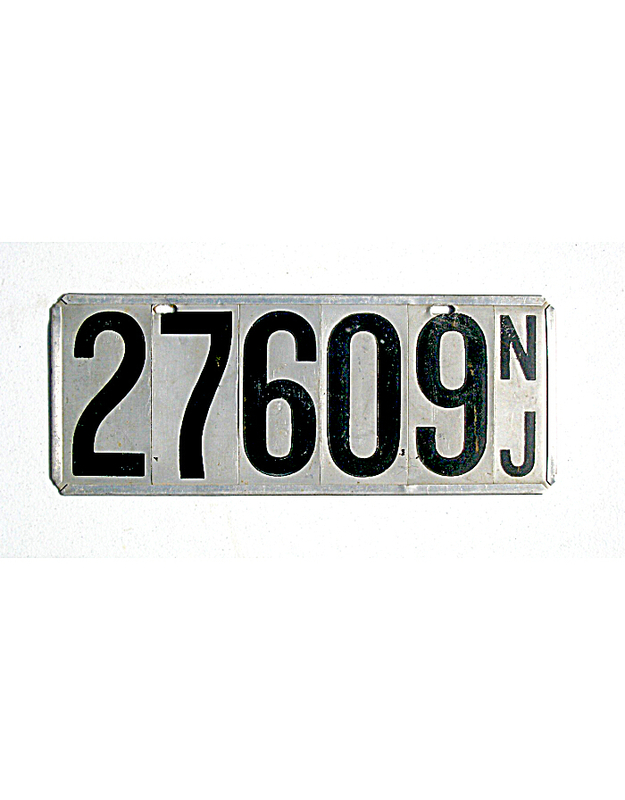 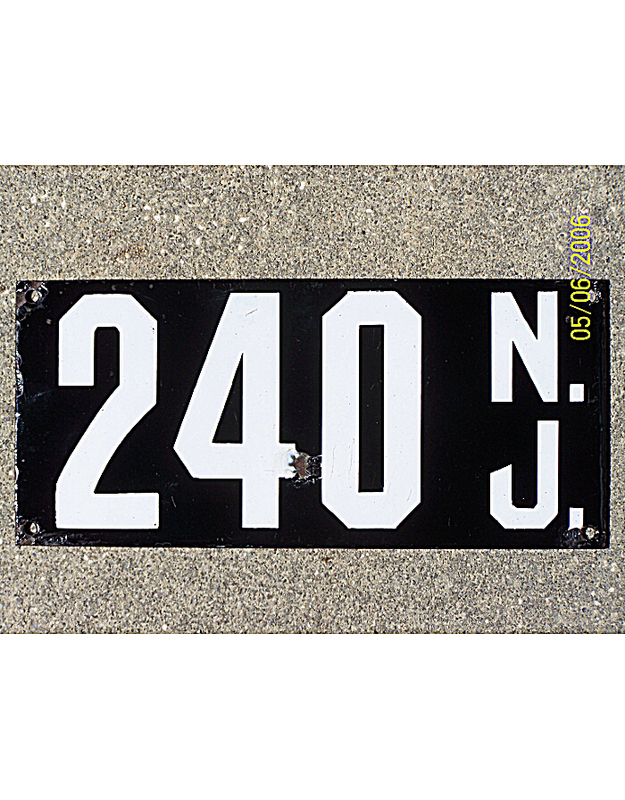 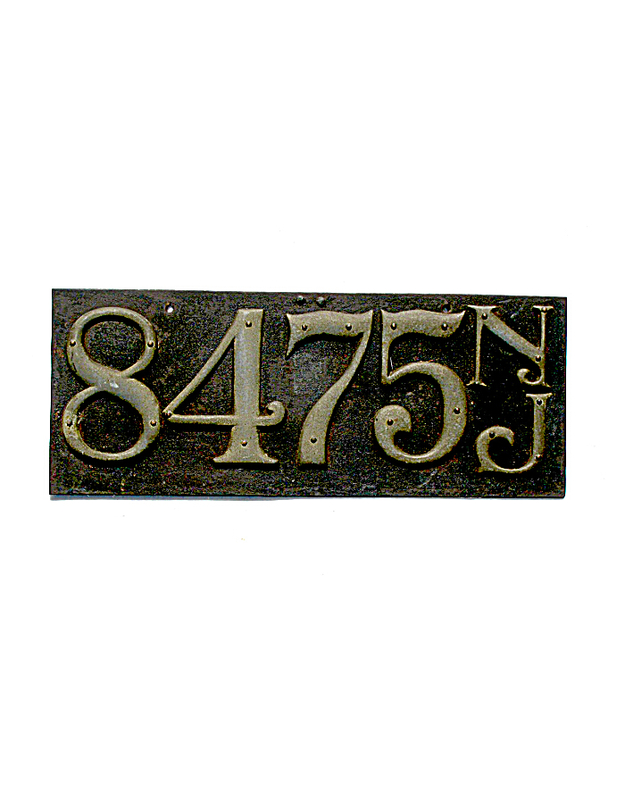 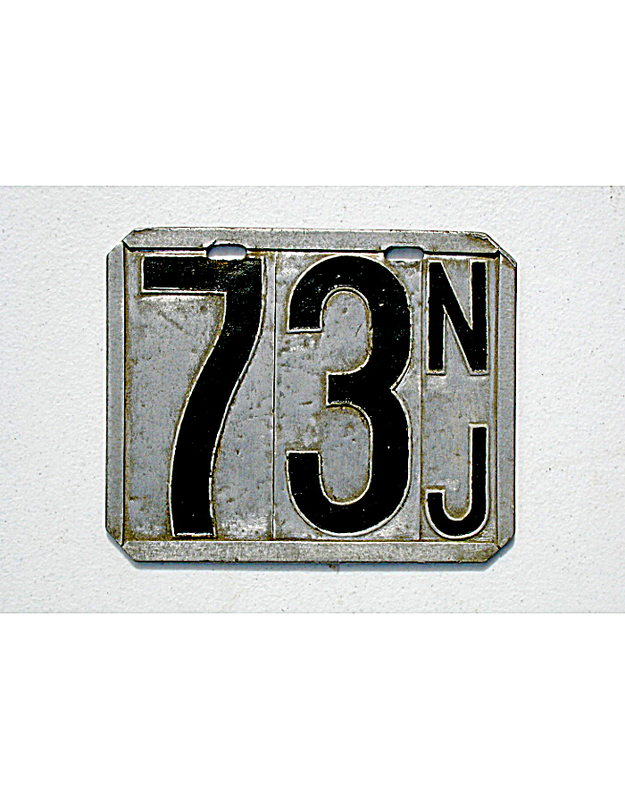 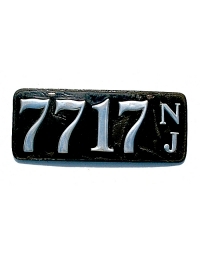 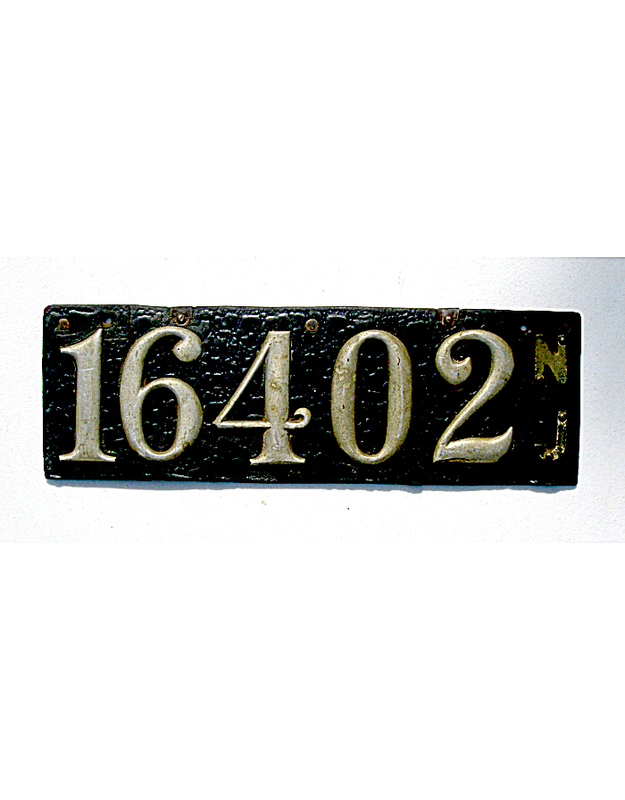 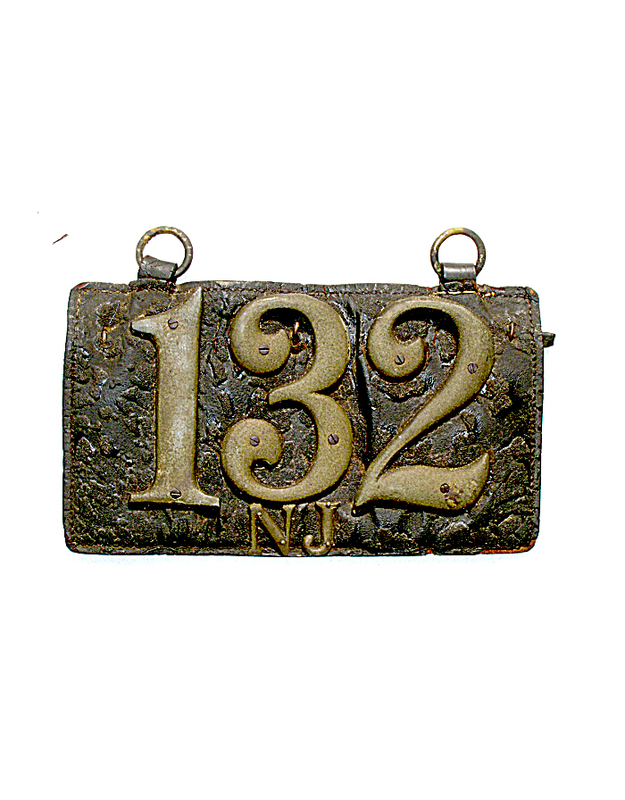 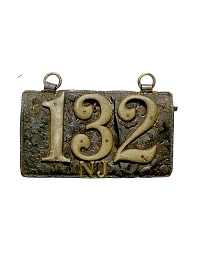 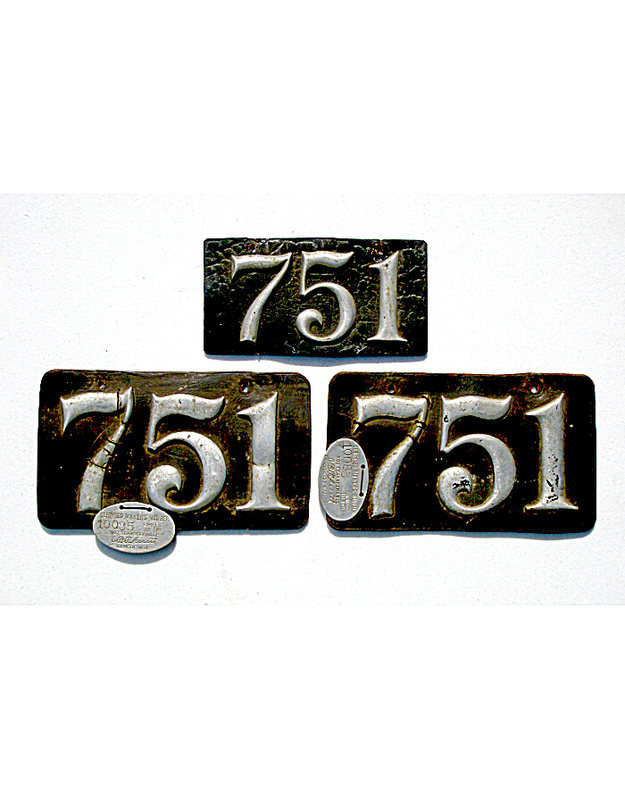 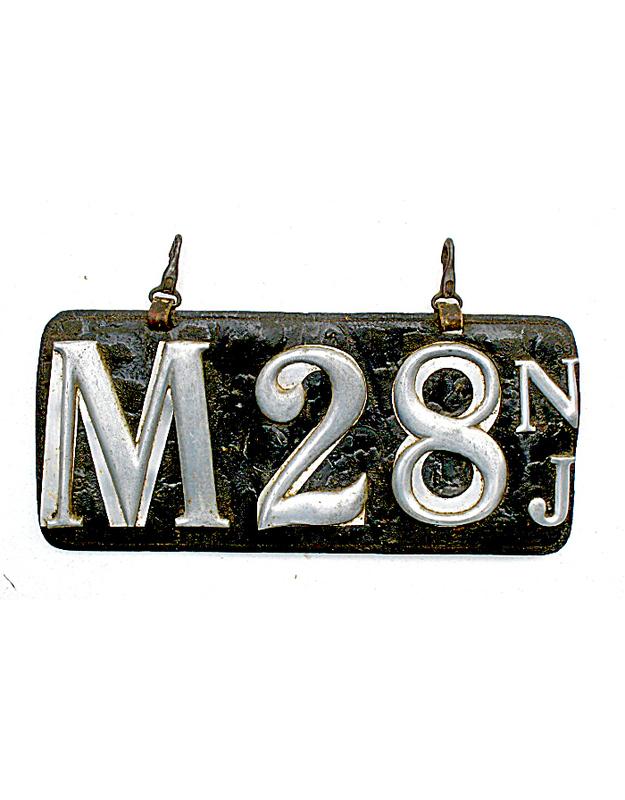 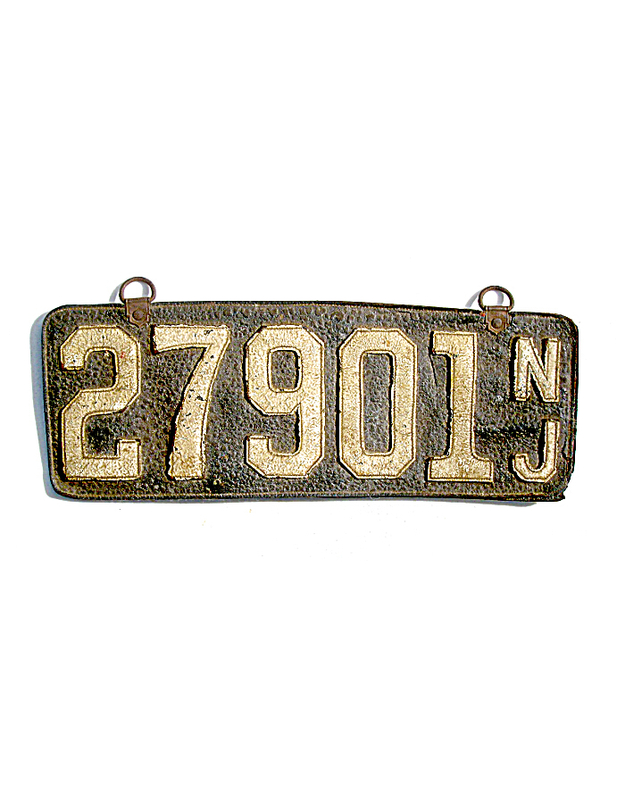 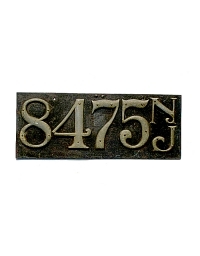 New Jersey began issuing automobile numbers in 1903. 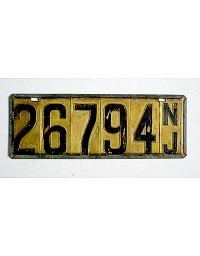 Owners were required to make their license plates from the number included on a paper registration certificate issued by the state. 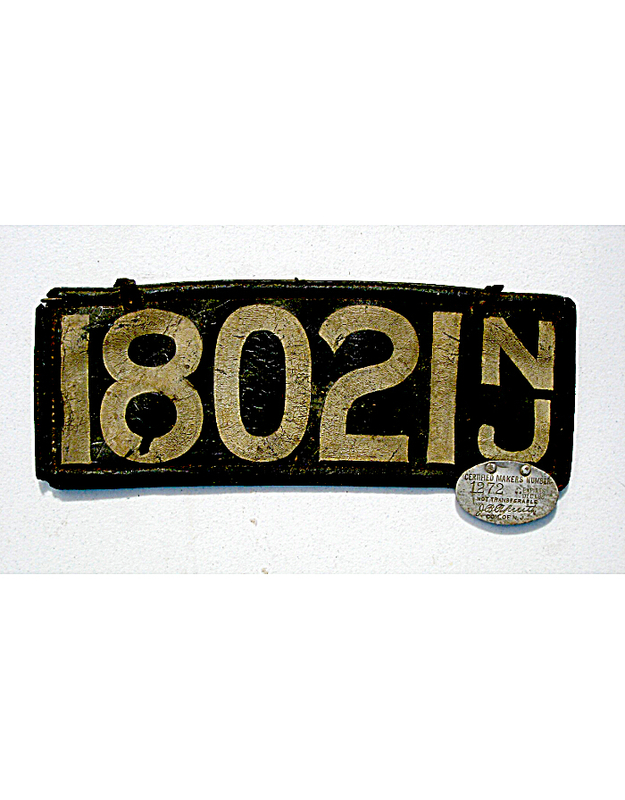 At first, the height of the digits was stipulated at 3-inches, but in 1904 the legal height was raised to 4-inch digits. 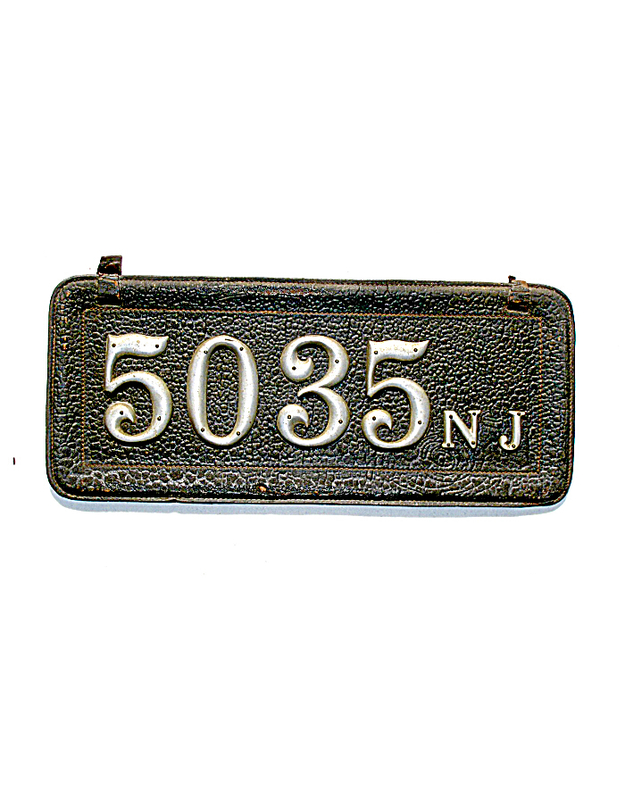 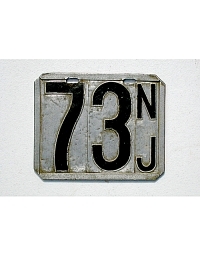 The State did not require use of the “NJ” state initials, but many – if not most – motorists applied them to their plates anyway. 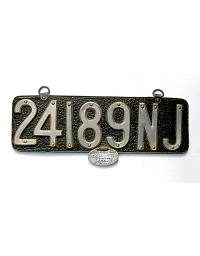 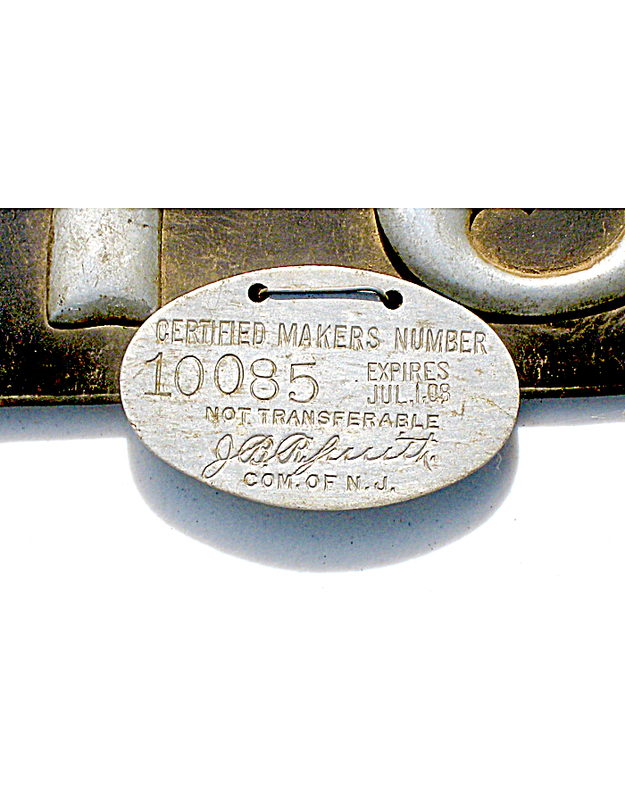 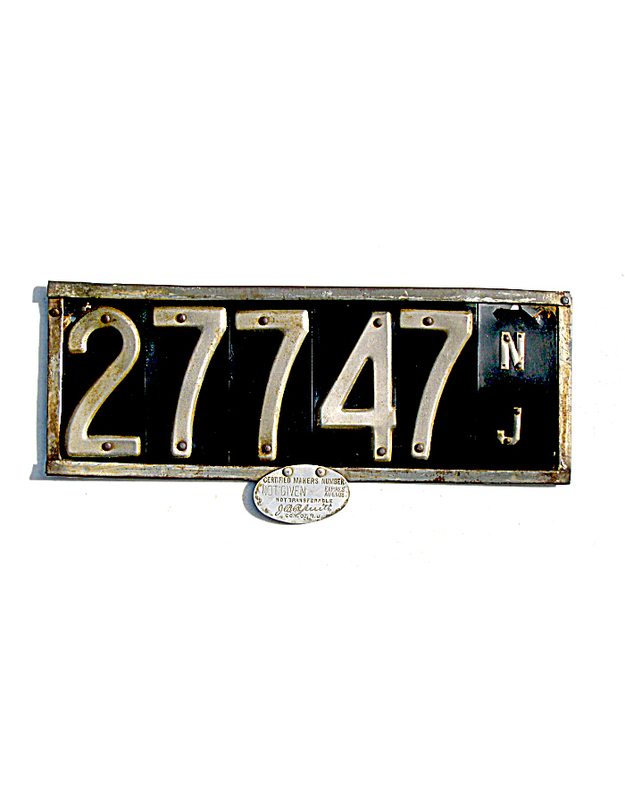 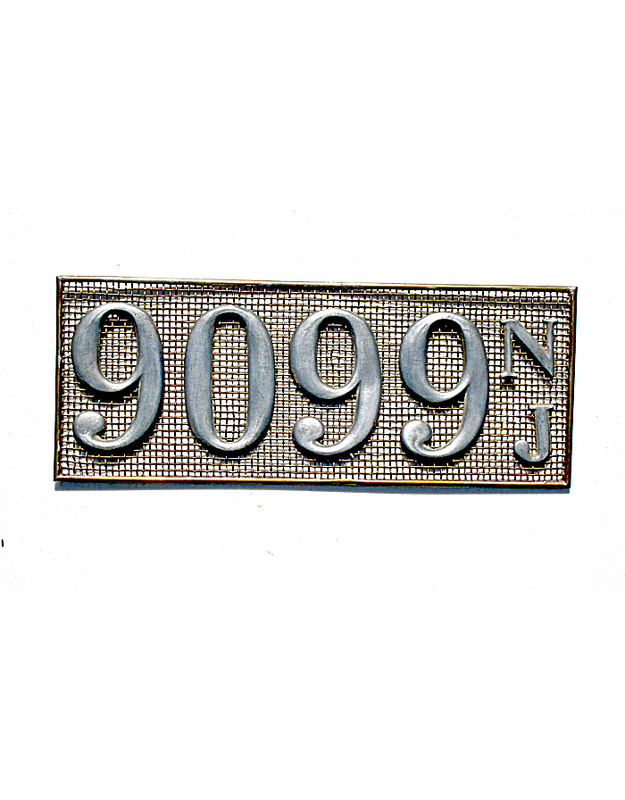 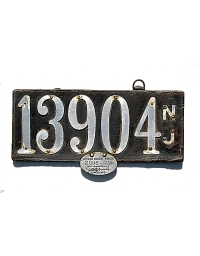 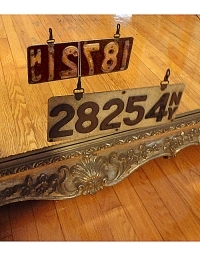 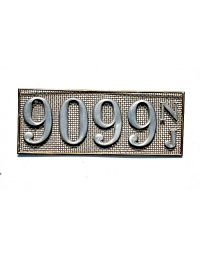 As New Jersey transitioned to official state-issued license plates during 1907-08, the state issued a small elliptical aluminum validation tag which was affixed to the expiring pre-state license plate. 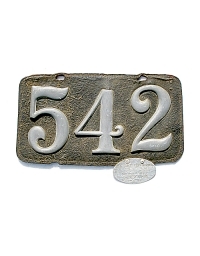 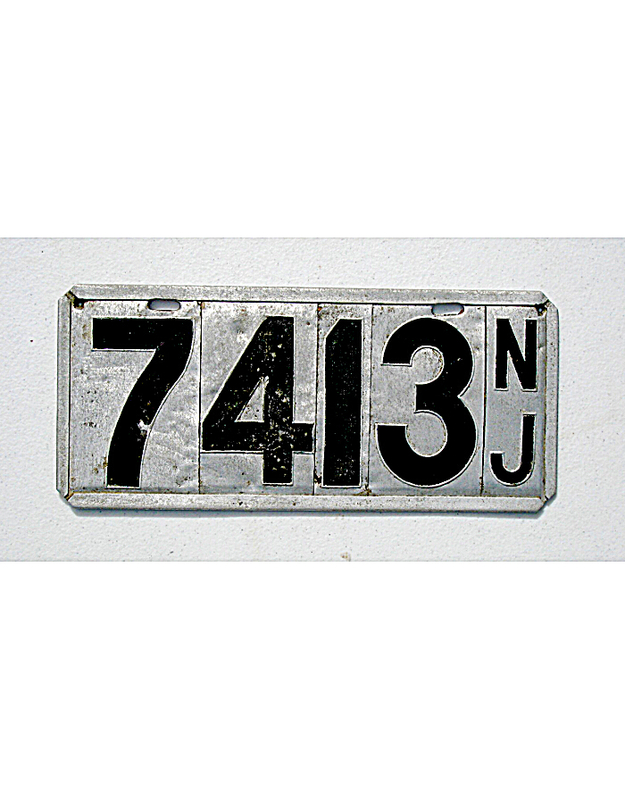 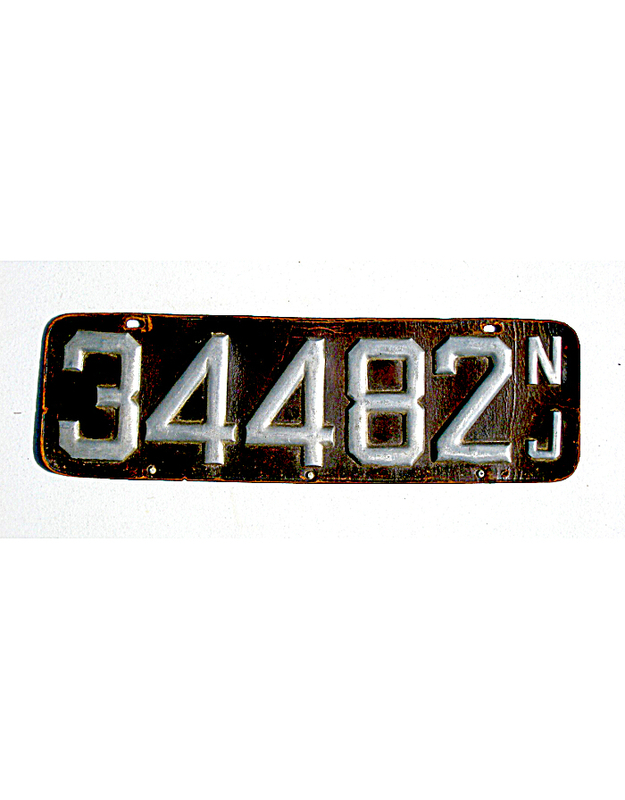 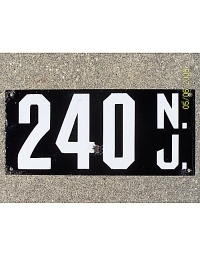 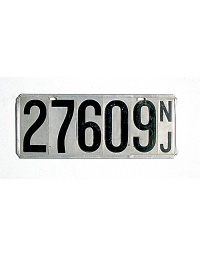 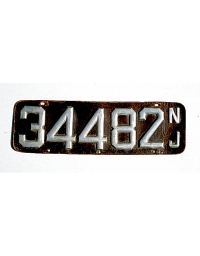 This tag included a specific date when the pre-state plate was to expire. 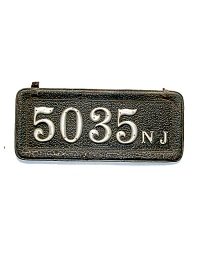 The presence of that tag also clearly identifies the plate as New Jersey, regardless of whether state initials were used. 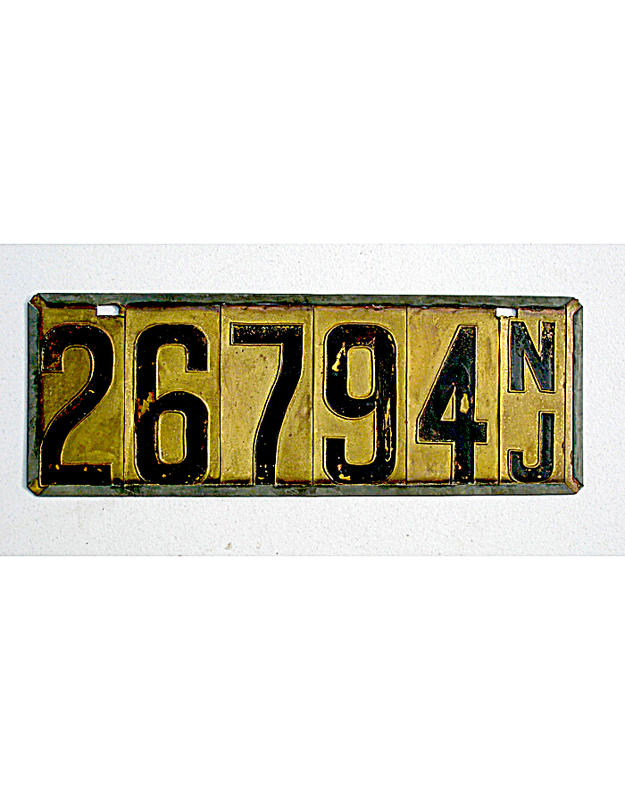 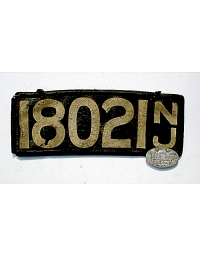 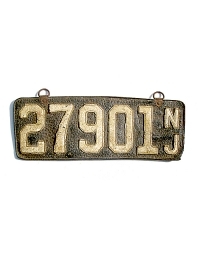 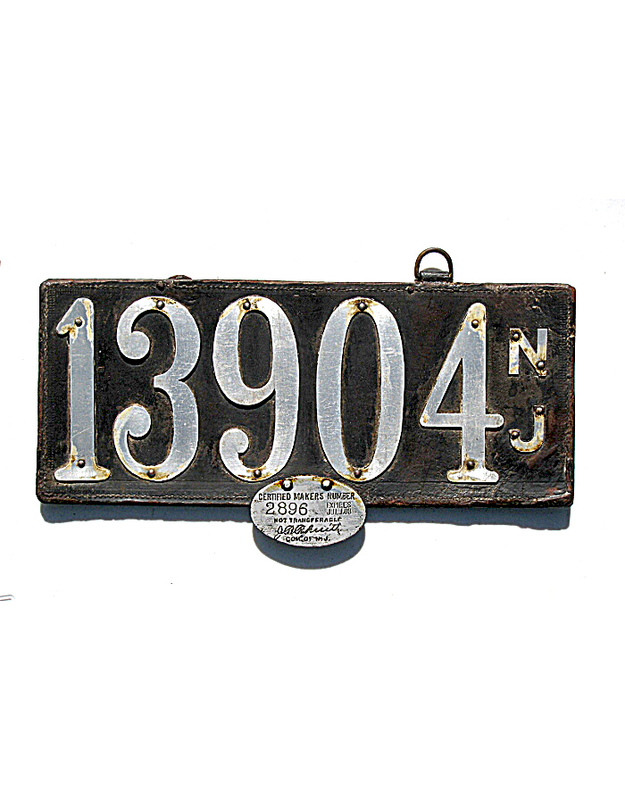 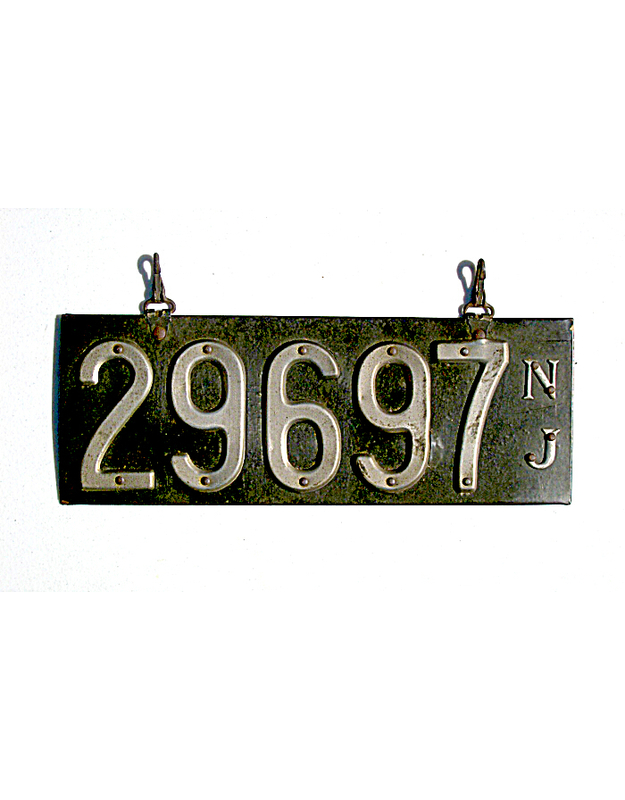 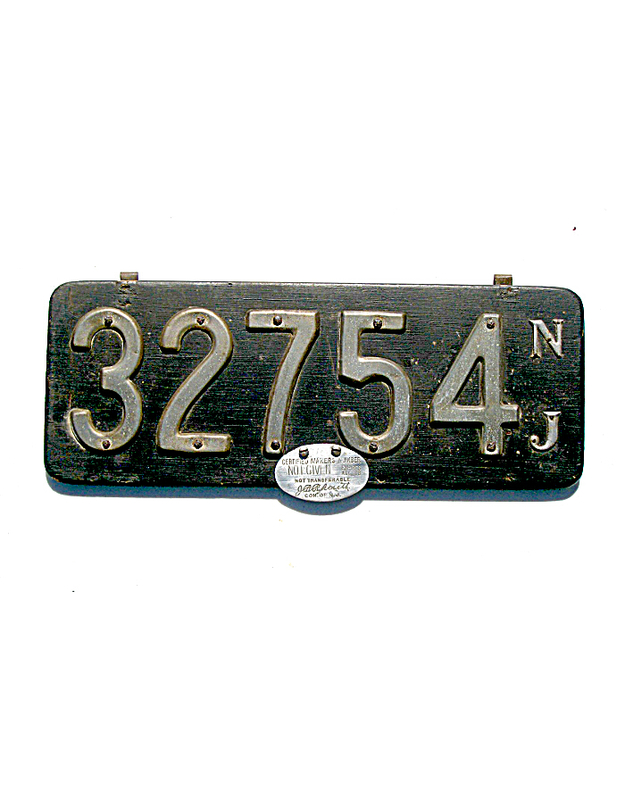 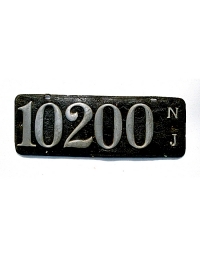 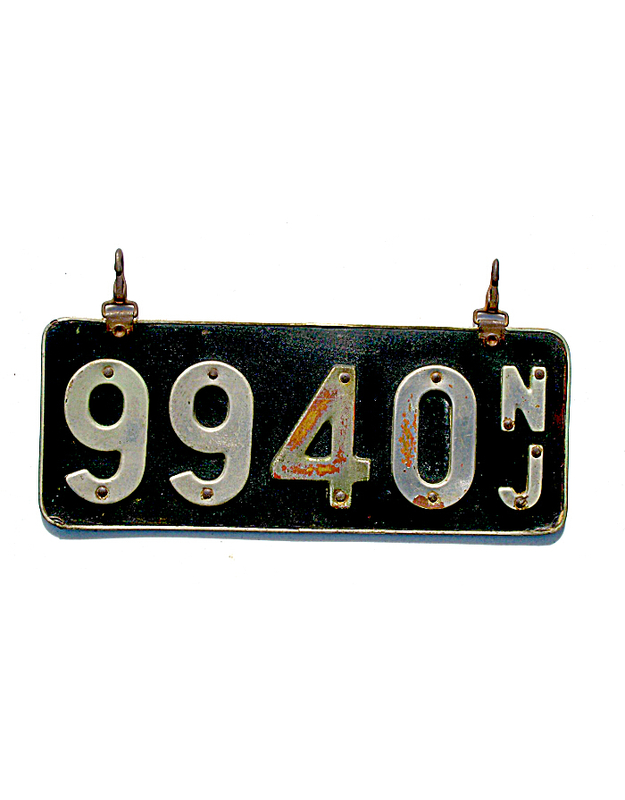 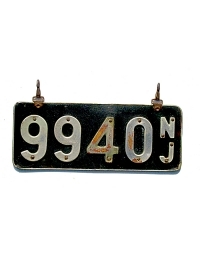 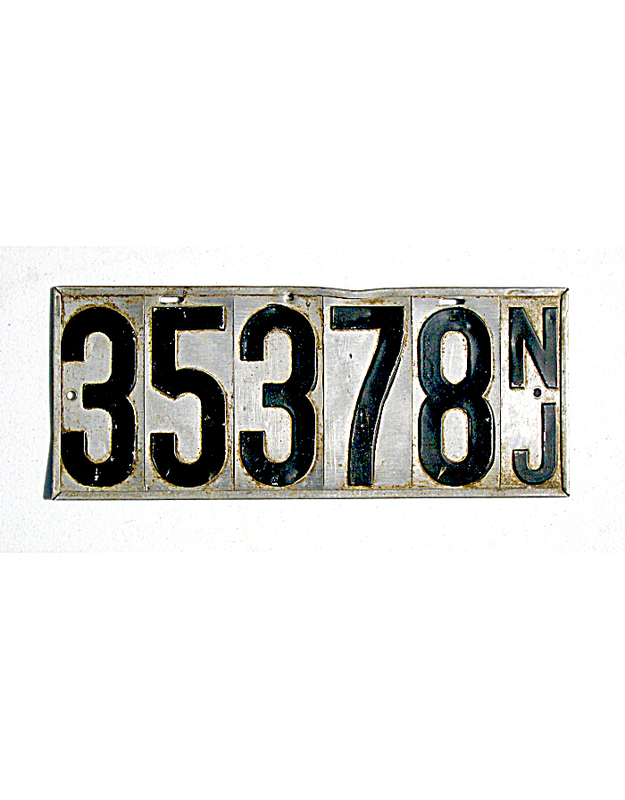 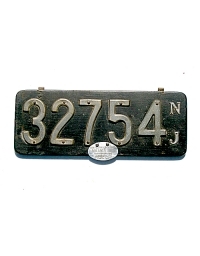 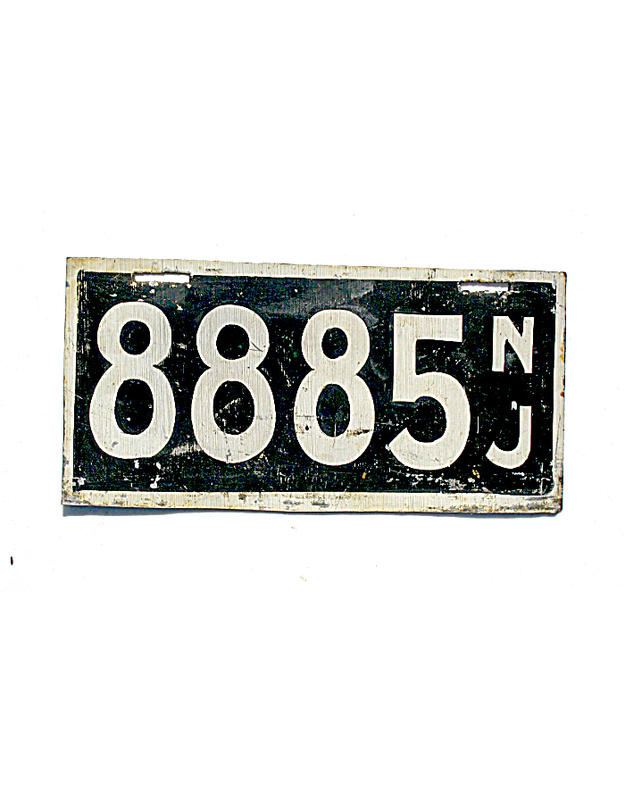 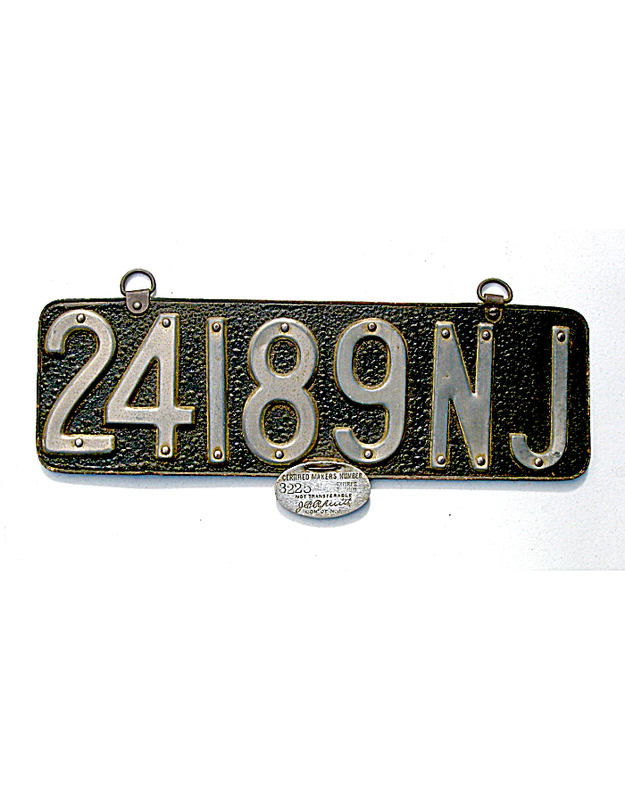 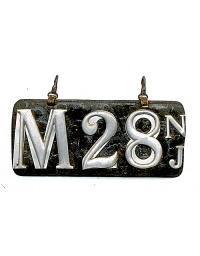 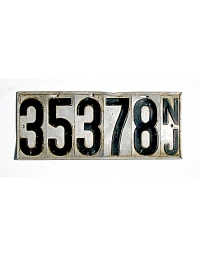 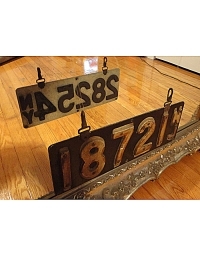 No New Jersey cities or towns required automobile license plates in the 1903-’08 era.